Yet Another Primer Review – Too Faced Primed & Poreless Primer..
Too Faced is a brand that everyone seems to be obsessed with, a brand you rarely read anything bad about online, a brand that I had been absolutely dying to try as a result. While I am a drugstore gal through and through, I do enjoy seeing whether high-end brands are worth the hype, or if there are drugstore dupes that work just as well. You can imagine my excitement when I spotted the Too Faced Primed and Poreless Primer in TK Maxx for £4.99.. 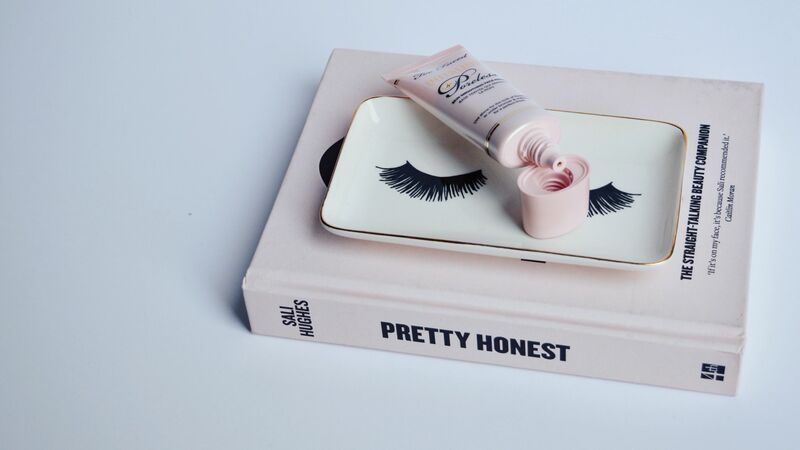 While it wasn’t quite the Too Faced Hangover Primer that everyone and their aunt seems to absolutely adore, a quick search online showed that it had relatively good reviews on their websites and retailed in the UK for £30. I did ‘the checks’ as you have to in TK Maxx – I unscrewed the lid to see if any product had been squeezed out, but both the bottle and the packaging seemed to be perfect. I was obviously sold, and thinking that I had bagged myself an absolute bargain, I practically sprinted to the tills with it in my hand..
After reading so many reviews and watching so many videos containing their products, I finally owned something by Too Faced! After all the excitement having found it, you can imagine why I was almost close to tears when I just couldn’t get it to work for me in my makeup rountine.. I say it in almost every beauty post I write, but I have super pale and oily skin that is relatively blemish free, and I am a matte gal. While this primer doesn’t state that it offers a matte finish in any way, it does claim to “erase pores and imperfections, creating a smooth, airbrushed canvas” that “locks down makeup for a fresher, longer and more flawless wear”. I loved the sound of a ‘smooth, airbrushed canvas’ as well as a ‘longer and more flawless wear’ so although it isn’t the look I tend to go for normally, I wanted to give it a go myself and see how it worked..
As you’ll know, there are a number of different ways to apply a primer but I opted to use this as I would any other product. I moisturised first and applied the primer with my fingers to my entire face, leaving it to settle for a few moments because I continued. The primer itself is peachy in colour, and blends out to be relatively transparent, although I would say that some of the colour is left. The texture feels quite thick and greasy at first, which made me worry a little that it was just going to make my foundation run off my face, but I felt I didn’t have anything to worry about once I had blended it out. I continued to do my eyebrows and eye makeup, and I noticed at first that my brow pomade wasn’t applying as easily as it normally would, and instead I was struggling to get any colour pay off because of the greasiness it had left. I persisted, and eventually, my brows and eye makeup were finished. I came back to apply my foundation, and it was then that I noticed that the primer had almost congealed. Areas of my skin looked flakey, which as someone with oily skin is not something that I have to deal with very often, and the primer had clung together and rolled up at the edges of my face, which is obviously not the “smooth, airbrushed canvas” of which I had hoped for and read about. I attempted to smooth it out, but the primer continued to cling together, and I ended up removing my base altogether and starting fresh with products that I trusted. The following day, I decided to use a different moisturiser, in the hope that I would get a different result. I had been using the Garnier Pure Active Matte Control Moisturiser, but I applied the Glossier Priming Moisturiser that morning instead. Although it worked slightly better, I still found that the primer clung together especially at the edges of my face and the greasiness of the primer, alongside the fact that I didn’t have a moisturiser on combatting my natrual oiliness, meant that my base looked awful within a few hours anyway. I was absolutely heartbroken, to say the least! As I mentioned earlier in the post, there are multiple ways to apply a primer and I had considered applying it with a beauty blender instead of my fingers, but I was worried that if I used the beauty blender afterwards for my foundation, I wouldn’t get the matte-ness from the foundation, and I would be even more oily than I am normally.. I originally had such high hopes, and that being said, everyone’s skin is different, different products work for different people, and I won’t judge the whole brand on this one product. I’m dubious about trying another primer from them, for fear of the same happening again, but I’m also eager to try something else from the brand because I genuinely do want to love Too Faced. I guess I’ll be sticking with The Body Shop’s Tea Tree Pore Minimising Primer for now..
Have you tried ever anything from Too Faced? I’m curious – what’s your favourite primer? "Garnier Pure Active – My Secret To Clear, Even, Unproblematic Skin.."
"We Need To Talk About Revolution Pro – A Recent Beauty Haul.."